While many successful startups are built on a single disruptive innovation, it takes a consistently innovative company culture to grow into an industry leader. A single brilliant entrepreneur can almost never do the back-breaking work of running a business while also continuing to come up with transformative ideas. Rather, many of the longest-lived and familiar brands we know today rely on the innovative potential of their entire staff to drive them forward. According to the recent State of Employees report by Sideways6, 82 percent of employees claim to have ideas for how to improve their companies. Unfortunately, approximately a third of employees feel that their ideas are being ignored, while a further 20 percent never voice their thoughts at all. To access the innovative potential of your team, it’s important to create open lines of communication and to ensure that ideas receive the consideration that they’re due. Moreover, businesses also need to develop strong communication between employees to help them collaborate, discuss, and refine their ideas into workable solutions. Most upper level managers indicate that they do feel comfortable voicing their opinions and pushing for change. However, innovation isn’t just a job for managers or research and development teams. Nobody understands a product or process as well as someone who is immersed in it all day, every day. Because of that, it’s important to listen to lower-level workers, especially when they offer feedback that’s directly relevant to their area of expertise. A business that has a track record of doing this very well is Toyota, which has built much of its success on exactly this model. For decades, the company has worked to build a trust relationship with their workers and incentivise them to bring their ideas forward. Even today, Toyota still implements 9 improvements per year based on worker suggestions. One issue that interferes with a general culture of innovation is a toxic level of individual competition. It’s common in many businesses for individuals to avoid sharing ideas for fear that a co-worker or manager might steal it and claim credit for themselves. In businesses where rewards for great ideas are significant and targeted at individuals, this is almost unavoidable. To manage this, it’s important to dismantle the incentives that drive this kind of toxic behavior. Toyota, again, does this by rewarding entire teams instead of single individuals. This way, it’s safe for any employee to discuss and improve on an idea within their team, knowing that their individual contribution isn’t as important as the success of the idea as a whole. With the advent of “startup culture” and the rise of innovation as an important corporate concept, many businesses responded by simply creating a “suggestion” box where employees could submit ideas. These sound great in theory, since they don’t require a major time investment on the part of business leaders, but they also have some very serious shortcomings. Leafing through a stack of suggestions at the end of a week or month divorces each suggestion from the context in which it was written. A top level manager is unlikely to understand exactly why an employee is making a certain suggestion, and might dismiss it simply because it sounds boring, irrelevant, or too confusing. Instead, decision makers need to take the time to sit down with employees who want to suggest a change. Not only does a face-to-face give a potentially profitable idea the attention it needs, it also shows employees the respect they deserve. An employee who doesn’t feel listened to is unlikely to go to the effort of developing, improving, and presenting an idea. Conversely, people who feel that they are taken seriously will come back with new, well thought out ideas again and again, even if earlier ones are never implemented. For some businesses it might be enough to simply encourage employees to innovate to make their jobs easier and the business more effective. In most cases, however, individual employees won’t know exactly what your business needs. An employee that comes forward with a great new product idea won’t be well received at a time when the company is actually looking to cut operating costs. By communicating your current goals to your team, you can provide employees with the direction they need to come up with ideas that are relevant to your situation. Building excellent communication helps to fight toxic attitudes toward innovation in your business, and lays the groundwork for a culture that produces workable and relevant ideas. 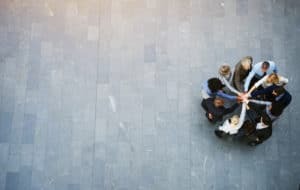 By taking these steps, you can make sure that your employees understand your needs, and feel more comfortable working together to improve your business.